Samsung Mobile has just released an Android App named "Good Lock" for Samsung Galaxy Android smartphone and tablet devices to personalize and customize the look and feel particularly notifications and lock screen. 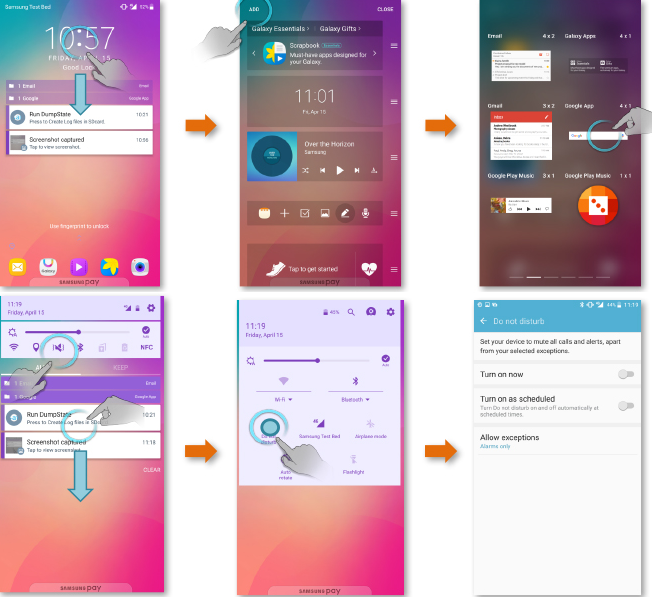 Good Lock for Android will alter overall user-interface (UI) and environment of stock Android with the provision of additional features and functionalities. The Direct Download Links of Good Lock APK for Android is available for free below. Addition of New Features i.e. App Tray, Widgets, Background Colors, Clock, Recent Apps, Effects, Wallpapers, Quick Settings and lots more. Currently, Samsung's Good Lock App can only be officially downloaded and install through Galaxy Apps store, and it's not available on Google Play Store yet. If you're Samsung Galaxy Android phone user in the United States, United Kingdom, Canada, Australia, Singapore and Korea, and using Galaxy Note 5, Galaxy S6 Active, Galaxy S6 edge+, Galaxy S6 edge, Galaxy S6, Galaxy S7 and Galaxy S7 edge devices running Android Marshmallow or newer version, then you can experience the latest Good Lock application without official support from Samsung. If you don't have any of the above mentioned Samsung Galaxy smartphone or tablet device, then you can still manually install Good Lock App after getting Good Lock APK file via third-party links posted below. Just ensure to enable "Allow installation of apps from unknown sources" option under settings.